It’s incredible, but true: Last year, 112 million shoppers spent over $15 billion at independently owned small businesses and restaurants on the Saturday after Thanksgiving. These are very impressive numbers, especially when considering that Black Friday occurred the day before, and Cyber Monday was right around the corner. Retail analysts attribute the popularity and success of Small Business Saturday to effective marketing tactics and widespread media coverage leading up to the annual event. Plus, shopping at local mom and pop stores is a welcome relief from the jam-packed parking lots, long lines, and shopping mall chaos of Black Friday. Knowing how lucrative Small Business Saturday can be for your company, now is the time to get ready. 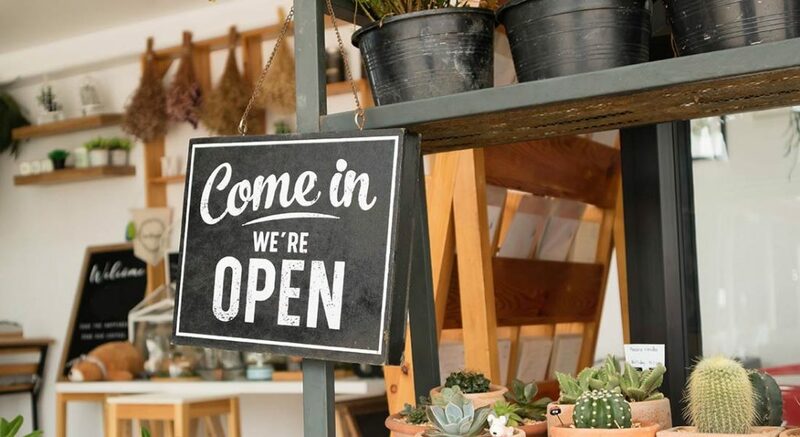 This Balboa Capital blog article features some helpful tips for Small Business Saturday success. 1. Log online and spread the word. In the days leading up to Small Business Saturday, your customers and prospects who visit your website should be reminded of the big shopping day. Mention Small Business Saturday on the homepage of your website, and add some text that explains why they should purchase your products, or use your services. If you use social media to promote your business, post something every other day, and use hashtags such as #SmallBusinessSaturday, #ShopSmall, #SmallBiz, #SmallBizOwner, and #DineSmall. In addition to helping you gain new fans and followers, this can engage local customers and result in sales. 2. Run a promotion, or have a one-day sale. When done right, special promotions and one-day sales events can build anticipation and excitement. Considering the fact that consumers will be inundated with offline and online ads that promote Small Business Saturday, doesn’t it make sense to give them a little extra incentive to shop at your small business or restaurant on November 24? A percentage discount, gift card raffle, free giveaway, or buy one, get one free (BOGO) offer can help attract new customers and drum up sales on Small Business Saturday. You can promote these things on folding A-frame sidewalk signs, window signs, and hanging banners. If you own a restaurant, table tents and menu inserts are excellent promotional tools. 3. Collaborate with other small businesses. Collaborating with non-competing small businesses in your area is a great way to drive sales for complementary products and services. For example, a florist might team up with a stationery store to offer special discounts on Small Business Saturday (i.e., customers who buy flowers can get a discount on greeting cards, vice-versa). Another idea is to reach out to other small business owners to see if they would be interested in cross promotion. A number of customers who visit your small business might be interested in other products or services that may (or may not) be related to yours. Promoting non-competing businesses in exchange for the promotion of yours can help both parties generate more sales. Placing postcards, business cards, or small displays near the checkout counter are three inexpensive ways to cross promote. 4. Participate in local events. Many cities and towns in the United States celebrate Small Business Saturday with fun-filled events such as street fairs. If your city or town is having an event this year, it’s definitely worth looking into. Your participation shows that you are proud to be a part of the small business community, and that you support local businesses and restaurants throughout the neighborhood. In addition, a local Small Business Saturday event can help you drive interest from each company’s customer base. The end results are increased brand awareness and, hopefully, a nice boost in holiday sales. Small Business Saturday was launched by American Express in 2010 to encourage people to “shop small” on the Saturday after Thanksgiving. Since its inception, this one-day event has been a boon to small businesses in every industry. The results of a nationwide survey conducted last year by a leading business research firm reveal that 3 in 4 consumers are aware of Small Business Saturday, and 60% of them said they shopped at an independent business that day. Additionally, the survey revealed that the most popular businesses frequented on Small Business Saturday were restaurants, clothing stores, and coffee shops.